During the last several years, go activity declined in Panama both internally and on their international participation. This was due to various reasons such as some Panama Go Association members falling out of the game. In spite of this, a newly formed group of players has shown interest in running go activities. For example the Japanese Culture week has been historically and traditionally the epicenter of the propagation of go in Panama, and 2019 was no exception. Its participants had the chance to learn some of the basic principles of the game, and they have set a goal of organising a national-level tournament later this year. The link between Japanese culture and go in Panama started around 20 years ago when the former Japanese ambassador, Yasuyuki Fujiyama – a 5 dan amateur – started teaching go at the embassy. This settled the base for what would then become the Panama Go Association. Nowadays there are no high-level players who could share their knowledge directly, so most of the actual development is being self taught. In this process, internet go servers have played a major role. Panama also holds the wish of organising a major international event such as the Ibero American Championship. Let’s hope they can make it come true some time soon! Heading north of Panama, we encounter Guatemala, a country where go has achieved great feats such as running the 2nd Latin American Go Congress last year. Teaching children and young students at the International Mathematics Olympiad on a regular basis. The program has now incorporated go as part of their curriculum, and at the time of writing rougly 40 students have been taught to play the game. This was made possible by the efforts of Adrián Ramírez, Jorge Lux, and Jose Romero. 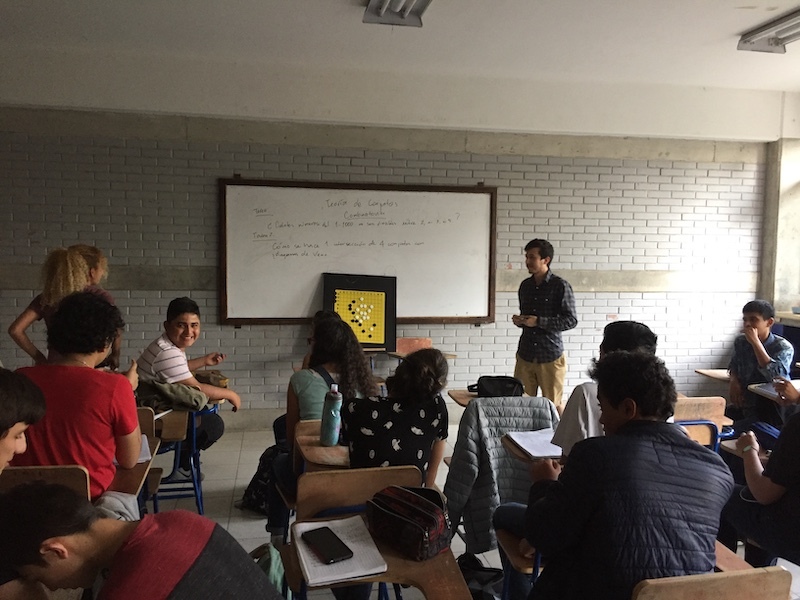 Promoting the game among the students of the Physics and Mathematics Faculty of the San Carlos University of Guatemala – again by the efforts of Adrián Ramírez. 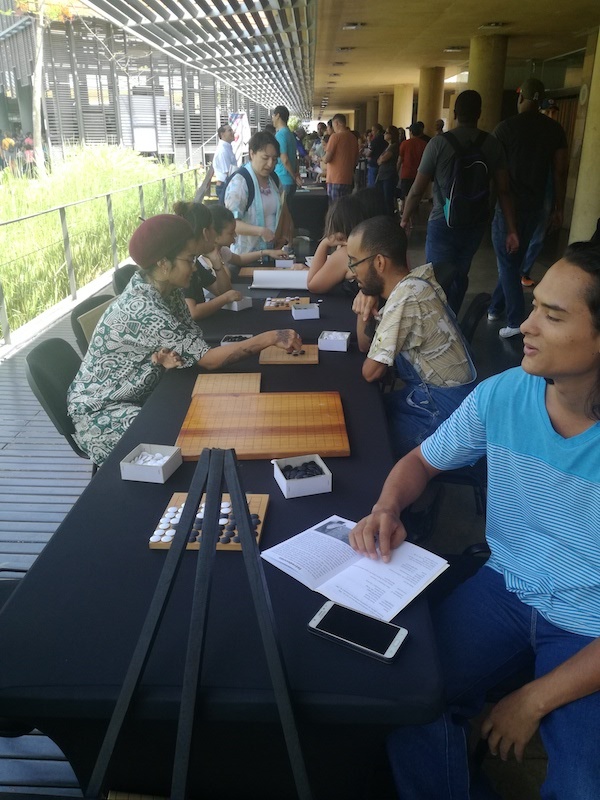 As a matter of fact, a tournament between the university and olympiad students was organised last year, and the top two players earned a scholarship to participate in the 2nd Latin American Go Congress. Holding a go course within the Annual Mathematics Camp along courses such combinatory logic, geometry, number theory, and algebra. Last but not least, the long-lived Guatemalan go promoter, Edgardo Caceres always holds a go introduction lecture during the Mathematics National Congress. If you are interested in following Guatemala Igo Club activities, please follow them on their Facebook page. So far we have visited eight countries within this region and our journey is nearing its end. Stay tuned for the final chapter of this adventure!